Consider the holidays. It’s the happiest – and the busiest – time of the year, not just for consumers, but for retailers, too. More than four in 10 people hosted a party last holiday season, according to the January 2016 THIRST survey by The Coca-Cola Company.¹ And approximately seven in 10 people attended at least one party.¹ But what’s a party without festive food and drink? How can retailers help ensure they have a seat at the holiday table? Retailers can help consumers planning events by providing recipe suggestions and decorating tips, as well as offering food and beverage pairings in convenient positions throughout the store to grab on the go. 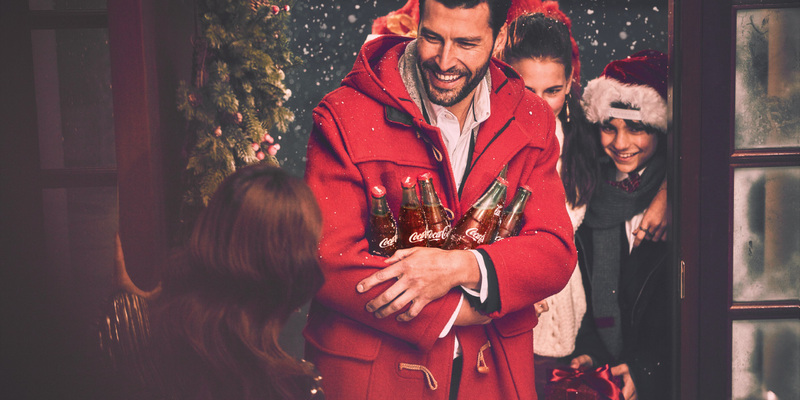 Sparkling soft drinks are so essential to holiday activities that they’re the number one trip driver to stores.⁴ Meanwhile, research indicates that holiday in-store displays centered on sparkling products can maximize shopper response.⁴ The Coca-Cola Company’s portfolio of sparkling beverages, preferred by shoppers, can help stores reach new audiences. Retailers can focus on merchandising Coca-Cola® products throughout the store to help drive incremental purchases during the holiday season. Coca-Cola products served in familiar glass bottles and Santa Packs can bring in the sparkle and splash of the holidays. The distinctive design of the contour bottle was introduced in 1915 and speaks to the history of The Coca-Cola Company. The packaging has captured consumer demand for nostalgic, limited edition merchandise, and a plethora of beverage choices during the holidays. The holidays are also peak season for mixers like Seagram’s® Ginger Ale, Club Soda and Tonic Water – in addition to Coca-Cola® and Sprite®, Sprite® Cranberry is another brand winning over guests with its flavor and mixability.